Nows the time to check out this opportunity!! BOTH LOCATIONS ARE MANAGER RUN!!! This Restaurant serves some of the finest Sandwiches, Salads and Pizzas in the area, so much so that it has made it to the list of one of the top 10 restaurants in Area and Best in its Category. Beating out many other contenders in the area for many years including some well know chains. This business is only 4 years old and doing great. Sales continue to grow year over year, while allot of restaurants are closing their doors, this business is expanding. Manager runs the business and would be willing to stay on if Buyer wants. Then there are the Yelp reviews from so many diverse people and how they rave about the food here. The Business has a very nice web site offering online ordering. All sandwiches are made on Fresh Baked Bread that's baked on site. They have created a variety of choices satisfying any Guest coming in the door. 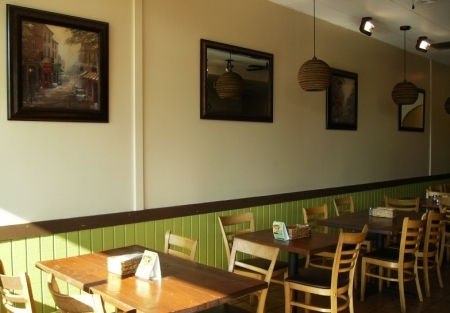 From the selection of Cold, or Hot Sandwiches, Custom made Salads, to the mouthwatering PIZZA selections. Owner's must sell because husband has been transferred out of the area. This concept could potentially be duplicated. The food quality creates loyal customers, the smooth operating process reduces costs creating high margins, and the strong name recognition brings customers back. They have a substantial base of Catering to local businesses as well. Northrop Grumman is one of them and is a repeat customer, and they just announced receiving a major contract and will be hiring approx 3,000 new employees.These new employees will be relocating into the area for the most part and will be frequenting the local restaurants.Being that Northrop Grumman is already a client for catered events these orders should increase as well. If you are looking for a good solid business with major growth potential and something you will be proud to call your own this is a must see.Also a great area to buy a home as prices here are much lower than most other So Cal areas and your money gets you allot more. Buyer must have solid restaurant experience and show good financials as Landlord approval will required. So to see if this is a good match for you just go to the Tab "Sign NDA" and you will get name, address and many pictures. To do this go to www.sellingrestaurants.com. REMEMBER THIS IS CONFIDENTIAL !! Do NOT Talk with Employees about it being for sale... Thank You! !